Manage dry skin with ease, thanks to Dermeze. 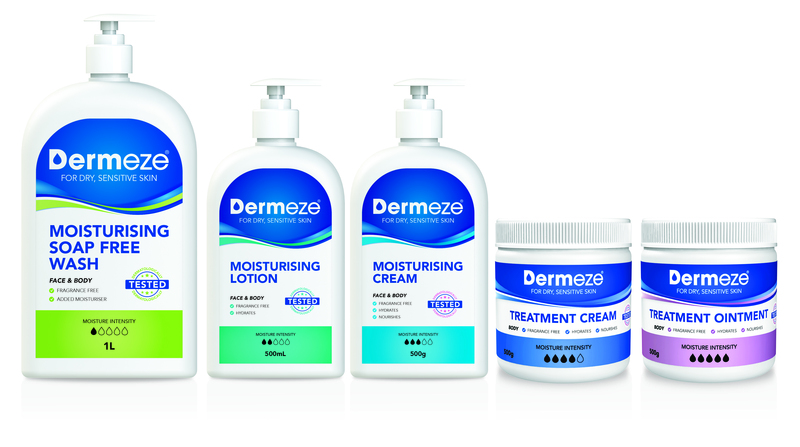 Recognising the changing needs of kids’ skin, Dermeze has launched its new MoistureMatch range offering a simple solution for managing dry and sensitive skin. The new extended MoistureMatch range includes five Moisture Intensity products including a Moisturising Soap Free Wash, Lotion, Cream, Treatment Cream and Treatment Ointment, all categorised by colour-coding and Moisture Intensity droplets on a scale – making it easy for parents to select the right product for their child! The range is available for purchase from Chemist Warehouse, Priceline, Terry White Chemmart and Amcal.